You knew the minute you walked into Dodd Auditorium and saw the twinkling of the mirror ball, that it was going to be a humdinger of a show. The audience hurried down the aisles, signs and placards in hand ready to cheer for their favorite "Star"... and cheer they did! When each dancer was introduced and came shimmying and cavorting down the aisle the whole place erupted in a whistling, clapping, hooting and hollering greeting! The three judges were introduced along with the Master and Mistress of Ceremonies and away we went! Each number was beautifully choreographed by the professional dancers, Michael and Melissa Scott, owners of the Strictly Ballroom Dance Studio, and Tiffany Kelly. Every dance was suited to the strengths and sometimes comic antics of the 9 Fredericksburg Stars (Melanie Kay-Wyatt, Bill Young, Rick Hurley, Marty Bass, Mary Katherine Greenlaw, Fred Rankin, Susan Spears, Richmond McDaniel, Ellen Killough). Each dancer was received with much applause, and some with hysterical laughter at the swaggering antics and dance moves of the gentlemen. The ladies costumes were sparkling and suited each lady to a "T". The judges were delightful, adding insight to the dances that were performed and giving each dance positive feedback which was appreciated by the audience as well as the dancers who gave it their all! After a brief intermission, a new artfully and well done video, titled Arts 4 the Community and starring our very own Rebecca Lallande, was shown extolling the need for, and positive influence the arts have in our lives. The show concluded with a swing dance by the Strictly Ballroom Performance Team, and professional performances of a foxtrot and bolero by Michael and Melissa, owners of Strictly Ballroom. During the presentation of awards, each dancer received a trophy for fanciest footwork, best costume, most rhythmical, most amazing move, most entertaining, most flare, best posture, or most spirited. The coveted mirror ball trophy for Best in Show went to Ellen Killough. Guests then were treated to a champagne reception under the stars with more dancing (this time by anyone who cared to trip the light fantastic). The highlight of the evening was the announcement and presentation of The People’s Choice Award that went to our very own Mary Katherine Greenlaw. 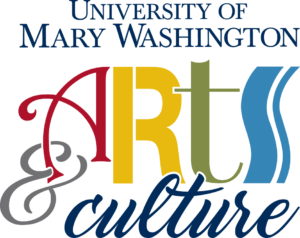 The entire evening was a rousing success, raising enough money to endow a scholarship for a local UMW student to study the performing arts. Delicious desserts, dancing, chatting with the "stars" and congratulations all 'round concluded the evening. The rain held off until everyone was back home - a perfect ending to a perfectly glorious night.